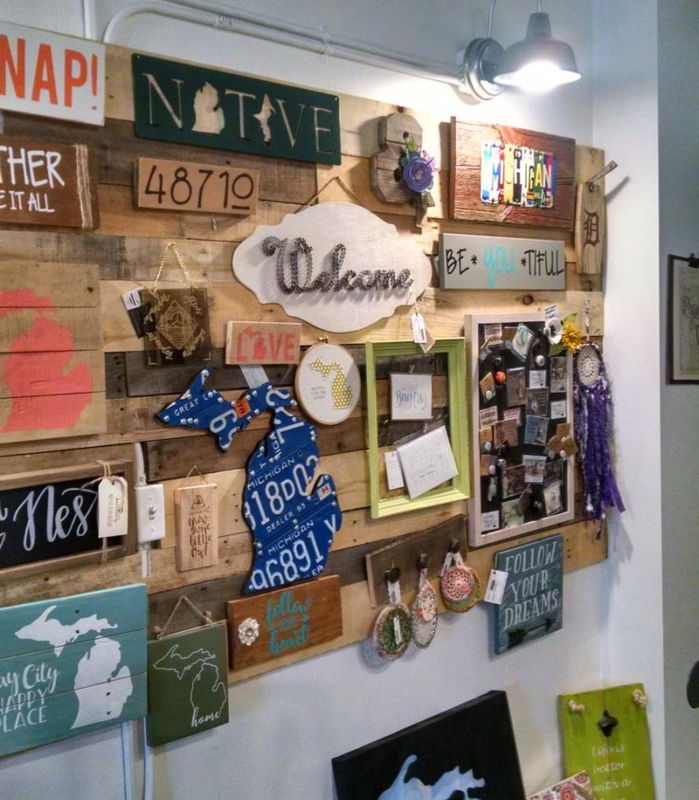 Owner Capri Wisniewski – Image by mLive The white and rickety porch door that lives within the houses of many Michiganders also led me into Half Mile Handmade, and it was the first indicator that I was entering a place where hard-work and handmade are no strangers. Bay City native Capri Wisniewski stood proud and approachable near the checkout counter of her shop. She was ready to engage in conversation the moment I introduced myself. 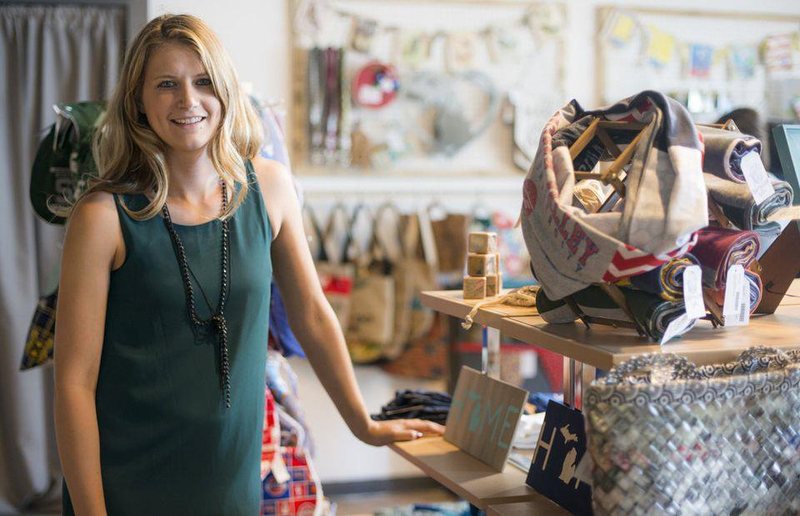 Her store is a reflection of herself, and their personable interior and spunky exterior are what drove our interview. A few years back when the store fronts in Downtown Bay City began filling up, Capri knew it was time to take the leap and open a store of her own. Currently living in Columbus, Ohio, she knew Bay City was the ideal location to open this type of business. 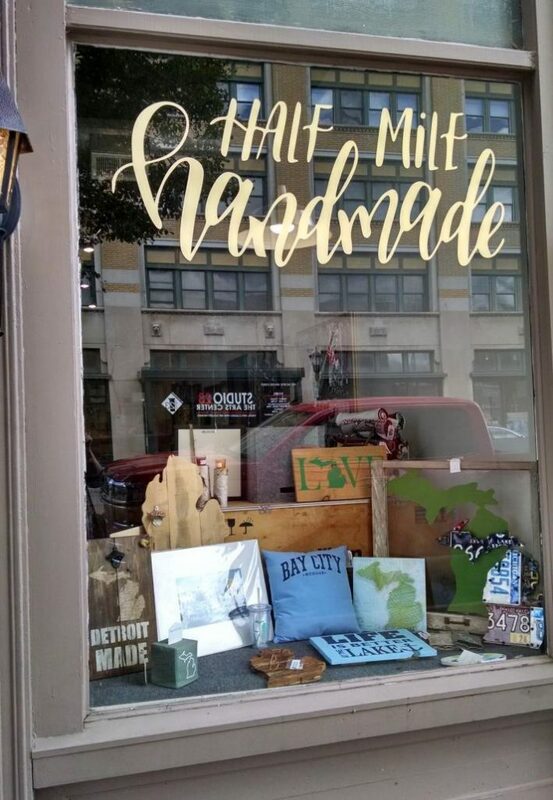 Contrary to popular belief, the items that fill Half Mile Handmade come from all over the U.S. and this wide net allows shoppers to buy beautiful handmade items with a “modern aesthetic.” Capri calls her crafters the “coolest creative people,” and says working with them is the best part of owning her business. Signs made by the many vendors selling with Halfmile Handmade Crafting isn’t the only thing she is passionate about. I’m sure that many can relate to Capri’s love for music, and she was introduced to it from a young age: “I didn’t get the music talent,” says Capri, “but I love karaoke.” I appreciated how her face lit up when I mentioned concerts. “One of my favorite [concerts] was Paramore […] and I never miss Brand New when they’re near,” she says. Toward the end of our conversation, Capri’s mom brought out a fabricated cat from behind the counter and beamed at her daughters “first intimate experience with a sewing machine.” Capri mentioned that she was a “lifelong crafter” who “always wanted to open a store in Bay City.” With support from family, friends, and community, Capri gives others the avenue to “make their handmade dreams a reality” at Half Mile Handmade.